The Keyhole: Peeking at 21st Century Brands: For Retailers “Black Friday” Has Become A Season Unto Itself. Oh, And It Started November 1st. For Retailers “Black Friday” Has Become A Season Unto Itself. Oh, And It Started November 1st. Super-charged by increased mobile outreach, intensified consumer planning, and raised numbers of retailer mobile apps, traditional retailers will be going to work earlier, and working harder to engage consumers this season if they want their share of a projected individual $855.00 holiday spend, about 4% higher than last year. Sixteen-thousand (16,000) consumers from the 9 U.S. Census regions identified these real facts-of-retail-life in Brand Keys’ 20th annual national holiday shopping survey. And many consumers missed Black Friday. That’s because it started last Saturday. Surprised? Well, it shouldn’t have been a total surprise. Store checks conducted by Brand Keys found retailer displays of holiday greeting cards, giftwrap and Christmas-themed gifts already on display in October. Consumers shopping for Halloween candy, actually had to sort through themed packaging, because retailers had Christmas candy leitmotifs right next to the bat wing and witches-on-broomsticks packaged candy, for the same candy! More than half of the sample indicated that they were going to start holiday shopping in November. In last year’s Holiday Shopping survey, 54% of consumers indicated they were going to start Holiday shopping in November, a trend we’ve commented upon for a number of years. 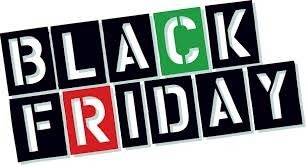 Only 25% of consumers – 10% fewer than 2013 – indicated they were going to wait until Black Friday November 28th. Catalogues (25%), are down again from last year by 50%. And apparently if a consumer can pull it up on a site on a mobile device, hard-copy has become superfluous. Value is still paramount for all platforms and consumer expectations regarding outreach and convenience, particularly for mobile, and the shopping experience for bricks-and-mortar retail, are all up again. Retailers that can integrate the store experience with their mobile outreach will likely find it to be a winning combination. They’re just going to have to do it much earlier this year. But given the intense competition for consumer dollars, Department stores and specialty shops will have to become more aggressive on deals, promotions, and operating hours. Because this year they won’t be able to avoid it.